A New Jersey company is relocating its East Coast distribution warehouse to a speculative industrial property built next to the Richmond Marine Terminal. Brother International Corp. will lease the entire 461,700-square-foot warehouse, Colliers International announced Monday evening. 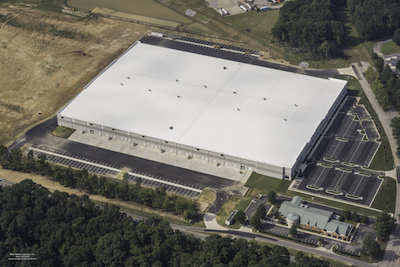 Colliers represented Panattoni Development Co., which built the Richmond area’s largest speculative warehouse. The lease will begin in the second quarter of this year. The warehouse is located next to the Richmond Marine Terminal and Interstate 95. The existing warehouse is the first phase of Panattoni's distribution center at the site. Since signing a long-term lease for the terminal in 2016, the Port of Virginia has made several multimillion-dollar investments in the river terminal. Last year, container cargo volume was up 31.5 percent at the facility. Matt Anderson of Colliers International represented the landlord, Panattoni Development Co., and Gregg Christoffersen and Andy Zezas of JLL represented Brother International Corp.